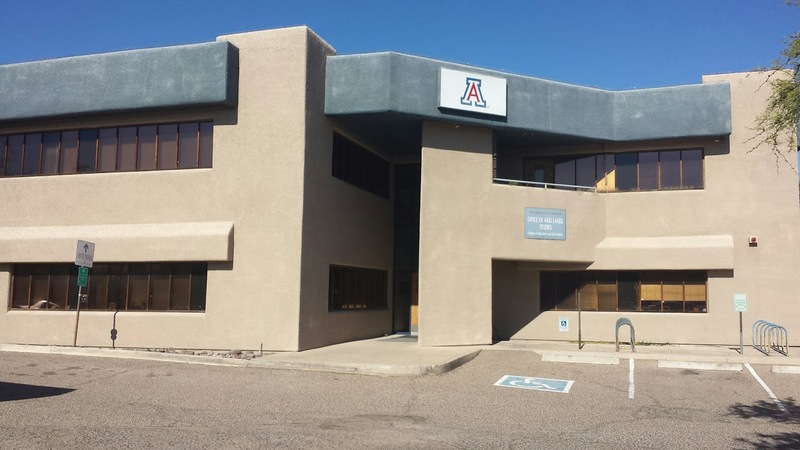 The Arizona Geological Survey will move out of our state offices in Tucson by June 30 and move into the office space recently vacated by the Arid Lands Resource Sciences on the east end of the University of Arizona campus. This is a result of the Governor's consolidation of state agencies. AZGS is transferred to UA effective July 1. The space will be considerably smaller than what we currently occupy so we are looking at moving some library materials to the UA libraries, some into storage in the Phoenix museum we are taking over, and some will likely be given away or tossed. Our Arizona Experience retail store will be closed. We will be sharing the space with other UA programs. We also are looking at moving the core repository to the museum as well to preserve that material. One advantage of the Arid Lands building is that there it is off campus and does have a limited amount of free parking for visitors. AZGS will operate as a research center in the UA College of Science. The State appropriation to AZGS is zeroed out June 30. UA is providing one-time funding to cover a portion of our operations for the next year as part of the transition. After that, it will be up to the Survey to raise all of its own funding. There are plans by UA to develop a fee for services program to help underwrite activities. Arizona mining scams "alive and in good standing"